Most of us have been living in Bangalore for ages and still haven’t tried a lot of things that being a Bangalore you are supposed to. 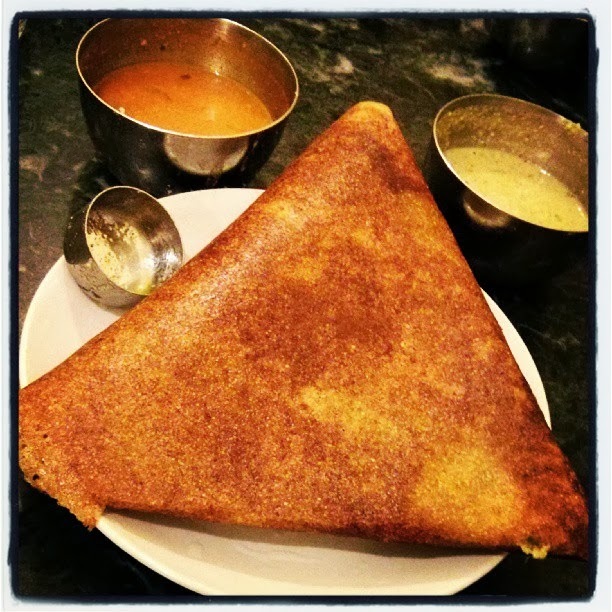 Here is a list of things that living in Bangalore you should try and lets see how many of these you have already done. Early Morning Visit at MTR’s Kitchen – Wake up early morning and visit MTR’s Kitchen near Laal Bagh (try before 7:00 AM or you’ll miss the idlis). Wait in a long queue until your turn comes that will take at-least half an hour depending on what time you reach there. Wait for your turn and then taste the awesomeness that they serve. Mark my words the wait will be worth it. Bicycle trips around Bangalore – Cycling is the best way to see around Bangalore, there are groups that organize cycling tours around Bangalore and covers as far as upto Nandi Hills. This is one of the must do activities in Bangalore especially when you have a free weekend, it is one hell of an experience. Trip to Savandurga – Savandurga again is one of the lesser known tourist attractions in Bangalore. About 60 kms away from the city stands the monolithic rock that is said to be one of the largest in the world. This place provides one of the top class slab climbing most popular among trekking freaks. Many adventure sport companies in Bangalore organize camping at this place so if interested you can contact them. Take a ride to Bangalore Airport at Midnight for no Reason – You are not a Bangalorian if you haven’t been to Airport in middle of night for no reason, roam around and come back. All you need to do is catch a Vayu Vajra bus to airport one random night with your friends. There is no awesomeness or anything amazing here but then who can think of bunch of friends hanging out in a Volvo bus going to airport, may be having a coffee and then coming back in the morning. Visit The Living Room Gaming Lounge –If you are a gaming freak have expertize on consoles like Playstation and X-Box or you like the old school Nintendo way then The Living room is a place for you. It consists of living rooms each having sofa sets, flat screen TV and wireless gaming controllers (heaven for a game enthusiast isn’t it?) There is more to it that you can only experience once you visit this place. Visit Koshy’s Bar and Restaurant – You might have been on pub hopping since the time you came to this city but if you haven’t been to Koshy’s in Shivaji Nagar then your Bangalore Pub expertise is still amature. According to vetrans the AC section of Koshy’s is considered only for wannabes, visit Koshy’s check out their old wing for feel of old and vintage Bengalore. So next time you plan a bar visit check this place out. An Early Morning Visit to Nandi Hills – Nandi hills is the most popular and one of the easiest and cheapest travel destination in Bangalore. This is one place that you can visit in whatever way you wish you can. Plan a bike ride with friends, take a local bus and then trek towards the hills or a bicycle trip. Talking about cycling, Art of Bicycle Trips conducts trips to Nandi Hills that is something to look forward for. It doesn’t matter how you visit there just make sure that you wake up early morning (or don’t sleep at all) so that you don’t miss the sunrise. Plan a trip to Wonder-La – How can one forget Wonder-La while talking about Awesome things to do in Bangalore. 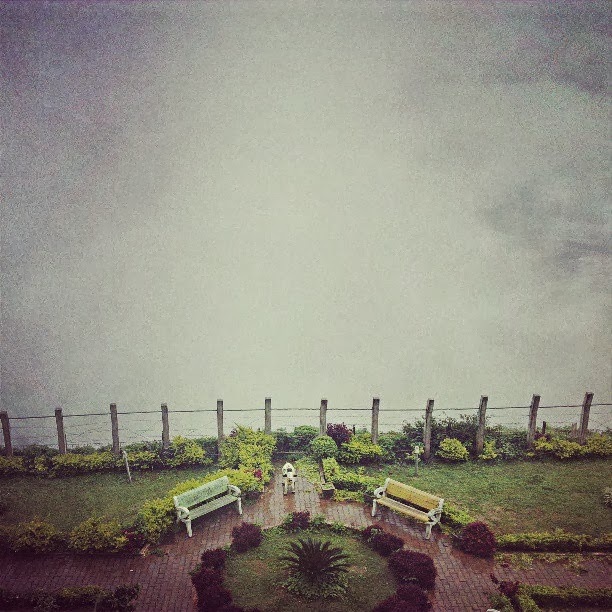 Wonder-La Located in Mysore Road is a place to visit with your friends or just with your girlfriend. Wonder-La is a water park and theme park, one simply cannot finish this place in a day and in the end you simply keep craving for more. The slides and falls give an amazing experience along with few of the dry rides which is enough to blow your mind. Taste Gobi Machurian from a street vendor- Gobi Manchurian is Bangalore’s own street food. Its the best thing you can have only in 20 rs. If you are around Koramangla or Majestic Area there are many Manchurian stalls where you can try it. Hang out at Lalbagh – Lalbagh botanical garden is of Royal Origin is a place where you can visit with your friends and hangout for as much time as you can. The place is simply too beautiful and spectacular as far as you can watch and enjoy. 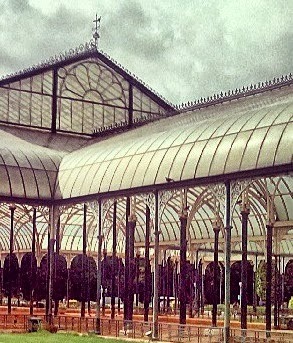 You can wait till evening around the LalBagh Glass House that when lit looks eye-catching and fabulous. This place is also heaven for photography enthusiasts. Experience camping outdoors Fever Pitch Base Camps – Planning a outdoor camping experience but don’t have time? You should visit Fever Pitch Base Camps Which gives and authentic camping experience. You can visit this place with your friends and enjoy watersports, paintball and other activities. Located in between of forest and is easily accessible via road. You’ll enjoy your stay for sure. You can also try similar activities at XtremeZone Gatewayz. Explore Banergatta National Park – The Banergatta National park is another closest destination to Bangalore and well connected to the city. The park conducts safari tours inside the forest that is way better than what the zoo offers. It also has an open butterfly park where you can see different and beautiful species of Butterflies. Walk Around Sankey Lake – Bangalore originally was famous for its gardens and lakes and today very few of them remain. For that original old Bangalore feel you can take a walk around Sankey Tank around the beautiful lakes that offers scenic beauty. It also has boating facility that goes into the mini forest located on an island in middle of the lake. Window Shopping in UB City – Made by Vijay Mallya this is the most posh mall of Bangalore. You can visit the mall and have a look around, at the cars in the parking area (those are some big badass cars) and then check out the shops, price tags and feel how middle class you are. Learn Karv Maga at BadAzz Combat Academy – You can spare a day or two and learn Karv Maga at BadAzz Combat Acadamy in Richmond Town. The visit is generally short but exotic and you can learn some realistic arts of self defence. Early Morning Visit at MTR's Kitchen – Naa, havent been there. Surprisingly, I eat South Indian food more often in Delhi than I used to try it out in bangalore. Yes, Idlis in breakfast at office was common, but I never really had the company to go out and try Idlis at 7 AM :PBicycle trips around Bangalore – Will BMTC buses and Auto-Rickshawas do? 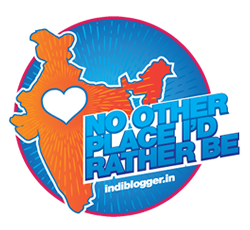 If yes, then I have done quite a bit of it.Trip to Savandurga – Been there, done that! It was a treak that began at night on a ful moon day. Slept at the top, and returned back around noon to home.Take a ride to Bangalore Airport at Midnight for no Reason – Done that!Visit The Living Room Gaming Lounge – Not a gaming freak, never even heard of it.Visit Koshy's Bar and Restaurant – LOR at Kormangla was our weekend destination.An Early Morning Visit to Nandi Hills – Done that!Plan a trip to Wonder-La – Done that, THRICE! And, still craving for more!Taste Gobi Machurian from a street vendor- Done that countless times! It is just a conincidence that a couple of days back I was talking with my brother about the lack of Gobhi Manchurian in Delhi. Infact, Bangalore is the only place where I have found Gobhi manchuruan as a dish/snack. I never find it on the menus anywhere else.Hang out at Lalbagh – Missed out on this.Experience camping outdoors Fever Pitch Base Camps – never really tried Fever Pitch base Camps, but have done some pretty advencturous camping trips nonetheless.Explore Banergatta National Park – Never got any good reviews about it. So, was not really intrested.Walk Around Sankey Lake – Nope!Window Shopping in UB City – :-/Learn Karv Maga at BadAzz Combat Academy – Naah! Bangalore is one of the top tourist destinations in India. This city is loaded with number of tourist attractions in draw travelers from all over the world. Here are some popular tourist places in Bangalore.